« [Giveaway] Are You Ready for Pirate Pak Day 2016? Check out the size of that lobster! And mine was just one of the skinnier ones. Sherman, who was at my table, got a plump, healthier looking half lobster. The lobster tasted fresh, and dipping in the melted butter made it into a few indulgent, luxurious bites. 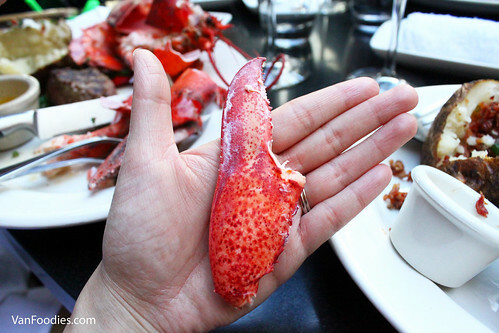 Especially the lobster claw – Mr. managed to pull out the whole claw and it was so satisfying to eat it! By this point, we were already quite full, but we couldn’t say no to Billy Miner Pie. 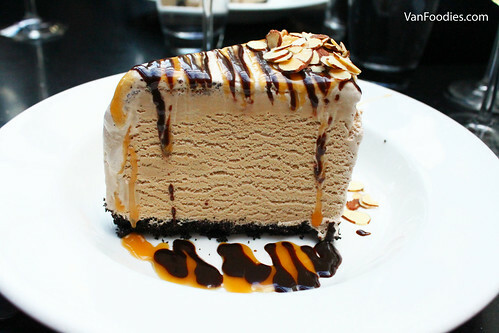 The mile high mocha ice cream pie was creamy with prominent coffee flavour. The hot fudge and caramel sauce added extra sweetness to it. Mr. wouldn’t share one with me and he finished his rather quickly. Such a classic, and everyone wants one! Our dinner came with drinks as well. 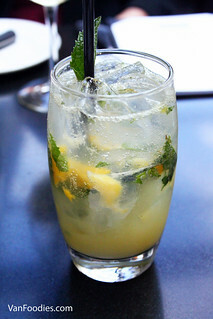 The Mango Mojito was very refreshing, minty. I love mango, but the mango flavour was too subtle for liking. Maybe some mango puree would bring up the flavour more. For our wine pairing, I really enjoyed the See Ya Later Ranch Gewurztraminer; the Meiomi Pinot Noir was also quite nice, jammy. This is the 16th year of The Keg’s Lobster Summer Menu. We didn’t try very many dishes on the Lobster Summer Menu. Some other items, such as Lobster Gratinée, Bacon Wrapped Lobster and Lobster Sirloin, sound very good and I’d be interested in trying them too. 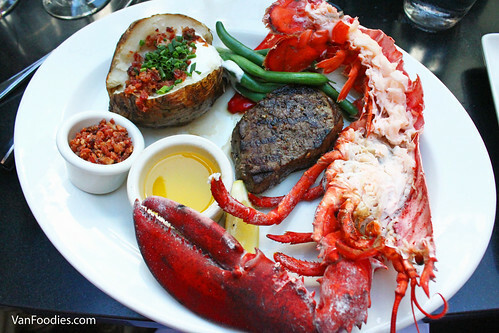 Lobster dishes are at a premium price but it’s worthwhile for a fancy date night this summer. Disclosure: The meal was provided to us complimentary of the restaurant. However, the views and opinions expressed in this post are purely my own. It’s been years since I’ve been to a Keg, but maybe I should get back there. This lobster looks delicious! I’m drooling. I wonder if our local Keg has the same menu. Looks amazing! I believe the lobster menu is available across the country, Diana! My mouth is watering! 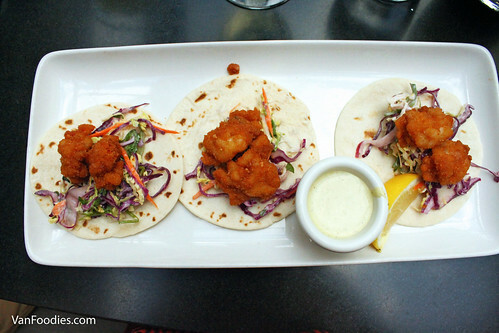 Even though I love living in BC, I sometimes wish I was an East Coaster because of lobster. We have an anniversary coming up and now I think our date will be the Kelowna Keg for lobster. Thanks for posting.